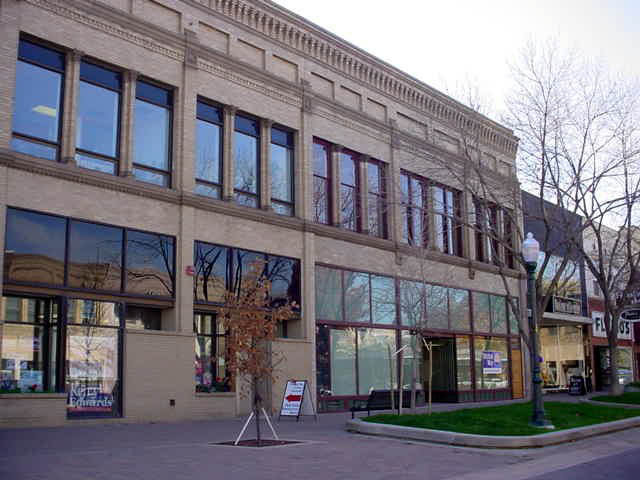 The historic Buckingham Gordon building in Greeley, Colorado, after completion of a facade renovation. Greeley (population 76,930) began as an experiment in “colonizing” the West. Nathan Meeker, agricultural editor of Horace Greeley’s New York Tribune,launched the venture through a joint stock colonization company, and settlement began in 1870. The community was founded on the principles of temperance, religion, education, and cooperation; for almost 100 years the community was “dry.” Nathan Meeker’s home, now a city-owned museum, interprets the early era of the community’s history. Greeley grew and thrived as the “Garden Spot of the West,” with irrigation used to foster agriculture in the relatively arid area. The last decades of the 20th century were not kind to Greeley’s once vibrant downtown, as retail business, workers, and entertainment venues moved to more suburban locations. As a result, Colorado Preservation, Inc., named downtown Greeley to its statewide list of “Most Endangered Places” in 2000. In response, the city decided to focus on its historic assets as an engine for revitalization. The city created a special improvement district and designated the downtown a historic district, which helped spur several multi-million dollar renovations. In addition, several of the renovated buildings’ glass and aluminum false fronts were removed, which has had a dramatic visual impact on the historic district. Finally, Greeley citizens have approved a sales tax increase to fund quality of life improvements, including renovation projects. As a result of this new focus on historic preservation, more than 30 new businesses and nearly 250 full-time employees have relocated downtown during the last three years.